Let’s face it, without a dynamite sales team; it’s really hard to be a next level company. If people aren’t buying what you’re selling, it’s hard to convince investors, the board of directors and the court of public opinion to believe in your organization. But when your salespeople are doing well, it’s like everything clicks. Keeping that team motivated in a key ingredient to success. So here are 5 ways to recognize your top salespeople. 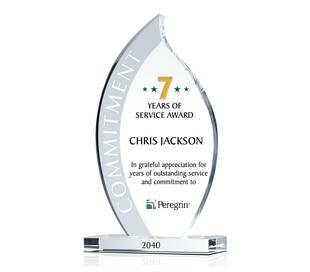 #1- Company Shout Out: Who doesn’t love a little praise? Whether it’s an announcement at an all-staff meeting, a posted leaderboard in a shared work space or a big notice of recognition in a company newsletter, being singled out for high performance goes a long way. It’s a simple, age-old, time-tested approach to keeping top performers on their toes, and motivating those just behind them to catch up. #2- A Little Time Off: If you are looking for an incentive and a way to recognize your top salespeople, how about a little comp time? The top sales spot at the end of the fiscal year could be worth five personal days, the next spot, four, and so on. It’s won’t cost your company much and who wouldn’t strive for a little extra vacation time? It’s a clear incentive for salespeople and a just reward for such high performance. #3- Party On: For those high-achieving salespeople on staff, why not plan a private party to honor the top sellers? A table for the top ten at a nice restaurant and all-expense paid dinner, a company potluck where top salespeople are exempt from bringing a dish and welcomed with a gift, even a karaoke night or happy hour in honor of top salespeople are all fun ways to recognize high-achievement. 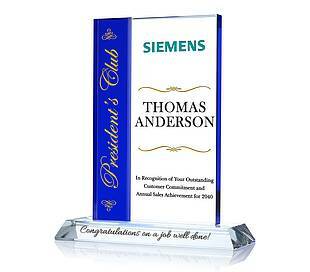 #4- A Gift That Lasts: Gifts are great, and most people appreciate presents in any form, but a gorgeous crystal memento, a plaque designed with the honoree in mind, is a cut above. 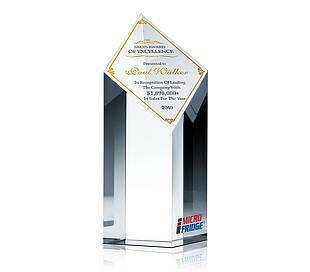 DIY Awards has top sales awards made of 100 percent optical crystal that can actually be deep-etch engraved to your exact specifications, at no additional cost. 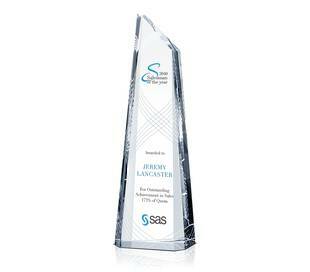 These obvious display sales award trophies will stand the test of time and look beautiful in any office. #5- A Getaway: When you are top of the heap, you’ve earned a little rest and relaxation, so offering your very top salesperson an all-expense paid trip is a wonderful way to recognize high achievement. A weekend in wine country, a beach vacation, a spa retreat or trip to the mountains; why not dangle the carrot of time away to coax high performance and inspire greatness? How to write the perfect graduation message?